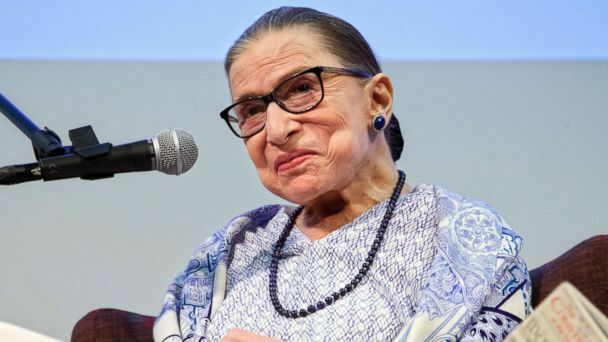 Justice Ruth Bader Ginsburg's recovery from surgery to remove malignant nodules from her left lung is "on track," a Supreme Court spokesperson said Friday, but she will continue to work from home and miss oral arguments at the court next week. "Her recovery from surgery is on track. Post-surgery evaluation indicates no evidence of remaining disease, and no further treatment is required," said spokesperson Kathy Arberg. In November, Ginsburg was hospitalized after suffering fractured ribs from a fall in her office at the court. Tests done during that trip to the hospital led to the incidental discovery of the nodules on her lung, which were removed in December. She was discharged less than a week after the pulmonary lobectomy, which she underwent at Memorial Sloan Kettering Cancer Center in New York, and was home on Christmas Day. She didn't attend oral arguments immediately following the surgery, marking the first time she missed a scheduled public session due to illness in her career over a quarter of a decade on the high court bench, a court spokeswoman said. The update from the court comes amid reports that the White House is looking into potential candidates for President Donald Trump to nominate to the court in the event Ginsburg retires. ABC News' Devin Dwyer contributed reporting.